I woke up to a light snow, which is usually rare for Tokyo in January, but it didn't really stick, which is not rare for Tokyo. Then I headed to Shimokita to get a haircut but my barber was closed. So I decided to get a bowl from nearby Nakamuraya WPC. Woah, what's this?? 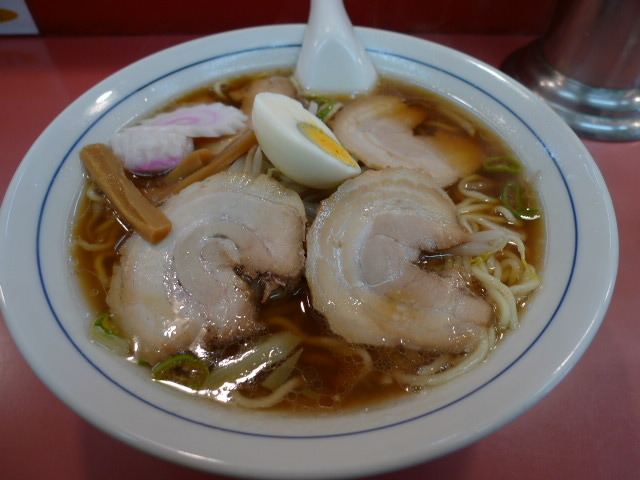 So by extreme default, I went to Abura Soba Wa (油そば 和) across the way. If you didn't know by now, abura soba has no soup. Of all 600 bowls I ate last year, only a handful were of this version. Yeah, I'm more of a soup and noodles kind of guy. Wa does a decent job with theirs and nothing against this shop, but I won't be coming back. The snow actually looks pretty. I hope it snows some more. Keizo, on the Monday afternoon when Basa was not open, I also walked back to Shimo-Kitazawa. I wound up having ramen at this place, which I guess is this. I had its anniversary special, or that was what I interpreted its banner to mean. Look for yourself. It was cheap. Next time you go for a haircut, try it.